Whenever possible, choose fresh parsley over the dried form of the herb since it is superior in flavor. Choose fresh parsley that is deep green in color and looks fresh and crisp. Avoid bunches that have leaves that are wilted or yellow as this indicates that they are either overmature or damaged. Just like with other dried herbs, if you choose to purchase dried parsley flakes, try to select organically grown parsley since this will give you more assurance that the herbs have not been irradiated. Boil potatoes until fork tender. 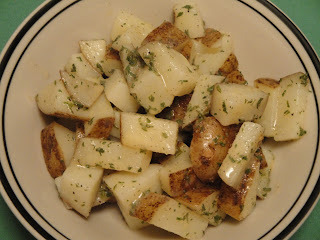 Drain, place potatoes back into pan. Add butter and remaining ingredients. Stir until butter melted. Serve and enjoy! Yummy, my mom used to make these often. Simple but perfectly matched flavors. The humble dishes never disappear for good reason! Great work! These look delicious--and I couldn't agree more about fresh parsley being way better than dried. 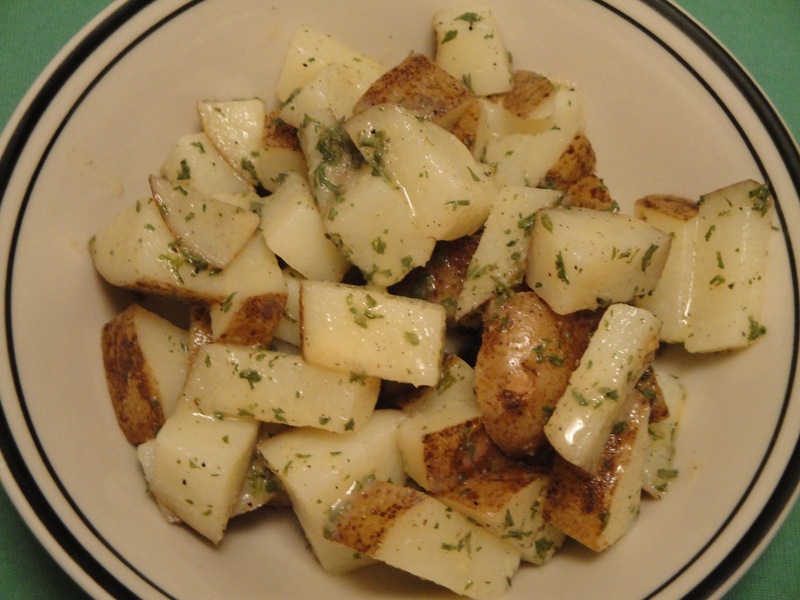 These herb potatoes look really fresh and delicious.